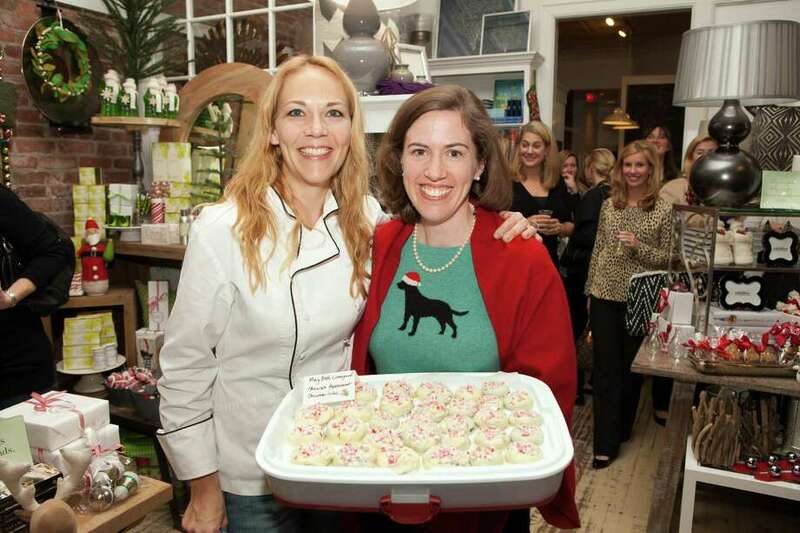 The YWCA Darien/Norwalk has planned its annual Cookies, Cocktails and a Cause Ladies Night for Dec. 6 at 7:30 p.m. at Nielsen's Florist, 1405 Post Road, Darien. The festivities include a holiday cookie swap, which is optional, and a cookie contest for those who bring a recipe to be judged by Michael Joseph's team of chefs and managers. Wine and other beverages will be served along with hors d'oeuvres prepared by Michael Joseph's. Women who bring cookies for the swap and contest can take home an assortment from other attendees. Attendees can also get a head start on their holiday shopping at Nielsen's gift counter. Another highlight will be a raffle of prizes donated by merchants, including Barrett Books, Becker Salon in Greenwich, Jade Nails, Stork Supper (private dinner party for 6), Rory's and The Goose. Raffle tickets will be sold at the event and can be purchased with cash or checks only. "We're thrilled that Nielsen's Florist offered to host this year's event," said Ellen Kirby, executive director of the YWCA Darien/Norwalk, "William Raveis will be the title sponsor, and so many local merchants generously donated raffle prizes. The proceeds from the raffle and ticket sales will help us meet the needs of our community service programs." Last year's event took place at Good Food Good Things and was sold out two weeks before and raised more than $3,000 for the YWCA Darien/Norwalk and its community outreach programs. The programs include Parent Awareness, which encour'ages the positive development of Darien youth by providing education to families, and Job Search Support, which provides women with the skills and tools required to become employed and support their families. In addition, the YWCA runs Girl2Girl, a program designed to help girls in grades 6 to 9 feel empowered to deal with the challenges of that transitional phase of their lives, and Mentoring for Girls, the first adult-to-high school girl mentoring program in Darien. Space is limited. Tickets, which are $35, must be purchased by visiting www.ywcadariennorwalk.org before Nov. 29. Non-members and members are invited to attend this cookie swap and cocktail party benefit that will be held from 7:30-9:30. For information, email cookies@ywcadariennorwalk.org or call 203-655-2535.